One of the challenges encountered in marriage is conflict of interest. Conflict is normal and natural. 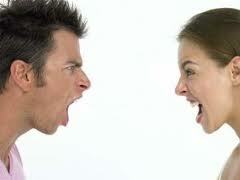 It is inevitable that couples will encounter conflict from time to time. It is unrealistic to expect conflict can be completely avoided in marriage. Instead, couples should learn to manage their differences in a wise and considerate manner. No marriage is immune from conflict. Conflict is based upon the existence of differences, and differences either divide or lead to creating solutions that Strengthen both persons and the relationship. The process of resolving conflict and finding the creative, growth-inducing solutions may involve some heat, but it is necessary within every good marriage. It is only by submitting the differences to the fire that they become tasty and nutritious. Strength can emerge from conflict. It should not be the primary source of strength in a marriage, but conflict should not be avoided in the fear that it will destroy the marriage. Indeed, the corrosive effect of avoiding controversy is much more likely to destroy the relationship from within than is conflict. It is not conflict that is dangerous but ineffective response to it. When conflict is in the open, it is accessible to constructive action if the parties involved want that. Using conflict creatively to gain more intimacy rather than allowing conflict to tear down the relationship is an essential for a growing marriage. In order to do this, couples need to understand the normal dynamics of anger, when it is apt to occur in their relationship, and how they can use an anger situation to learn more about themselves and their partner. But uncontrolled vent of anger must never be allowed to reign in any marriage relationship. It can cause serious havoc in marriage. It is imperative that a husband and wife know when their conflicts are within limits and when they are symptoms of more serious problems. You can tell the difference between a healthy marriage and an unhealthy one by what happens after a fight. In a healthy relationship, the conflict ends in forgiveness, in drawing together, in deeper respect and understanding and most times in sexual satisfaction while in an unhealthy relationship, the conflict produces more pain and anger that continues until they have another fight. The unresolved issue is compounded one after another. The accumulation of the resulting resentment is an ominous circumstance in any marriage. That is the reason apostle Paul admonished us in the book of Ephesians 4: 26 “not to let the sun go down on our anger”. Marriage is a covenant relationship and God made it that way because He realized that, left to our own desires, we would want to walk away. But a covenant is a commitment, so we must stick it out and work at it.